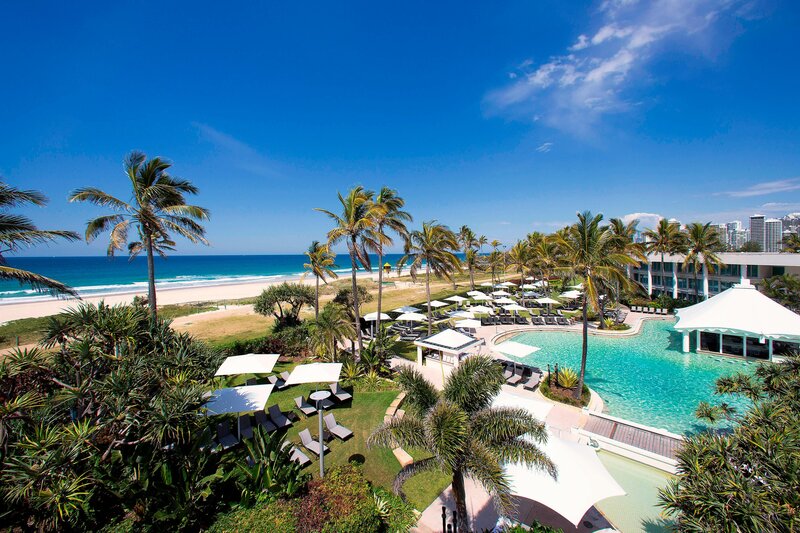 Our five star beachfront resort is conveniently located in the Gold Coast, within minutes of Surfers Paradise. A sky bridge connects guests to the many boutiques, restaurants and cafés of the Marina Mirage Shopping precinct. Exquisite venues and breathtaking outdoor lawns make us one of the most sought-after meeting destinations on the Gold Coast. After a long day, relax and take a dip in our Oasis Pool with its swim-up bar, or enjoy various dining options. 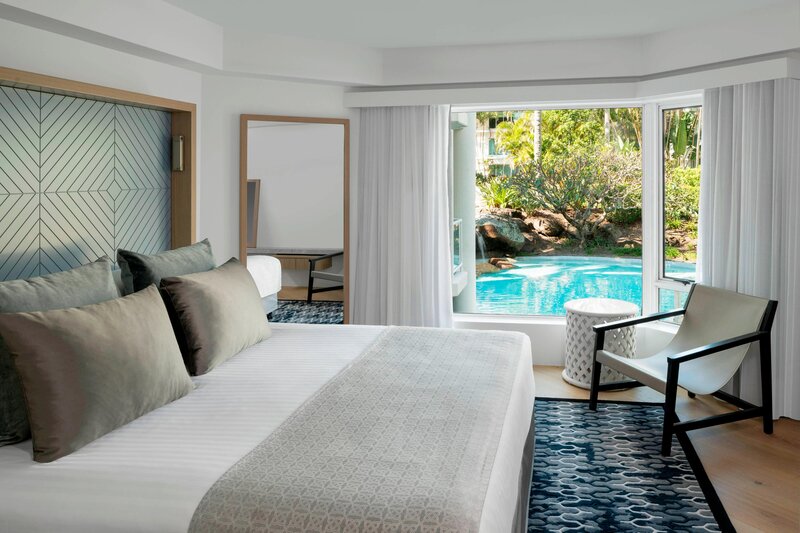 Our 295 spacious guest rooms-including 11 suites-feature a contemporary design, many with ocean views and private terraces. Take advantage of complimentary High Speed Internet Access and sleep soundly with the Sheraton Signature Sleep Experience. 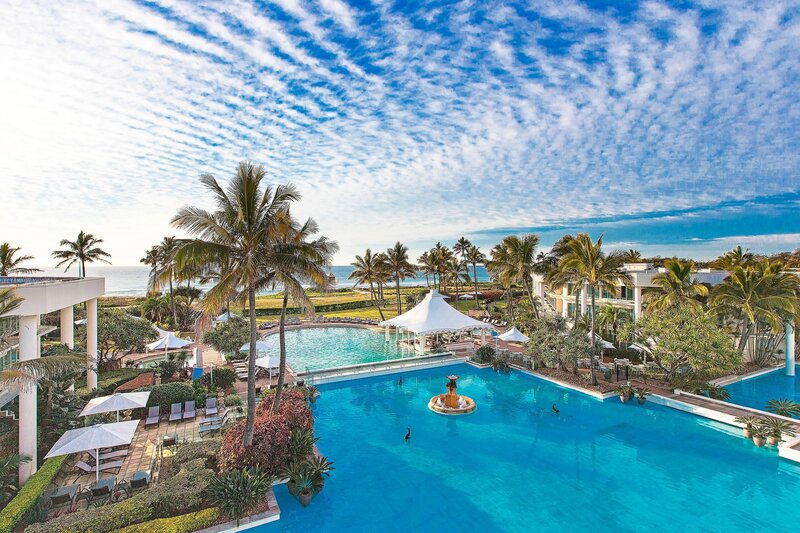 Experience beachfront bliss as your luxuriate in our pristine pools or relax on a chaise. Treat yourself to a cocktail in the Oasis Pool’s swim-up bar as you enjoy the stunning views. Sheraton Grand Mirage offers opulent suite categories, which feature beautifully appointed interiors and designer décor. All suites feature a combined open plan living and dining area, with wide opening windows and amazing views of the general resort. Our One-Bedroom Suites are modern, inviting retreats decorated in a colour palette of bright white, cream, dark chocolate, and grey with and black and white striped rugs. 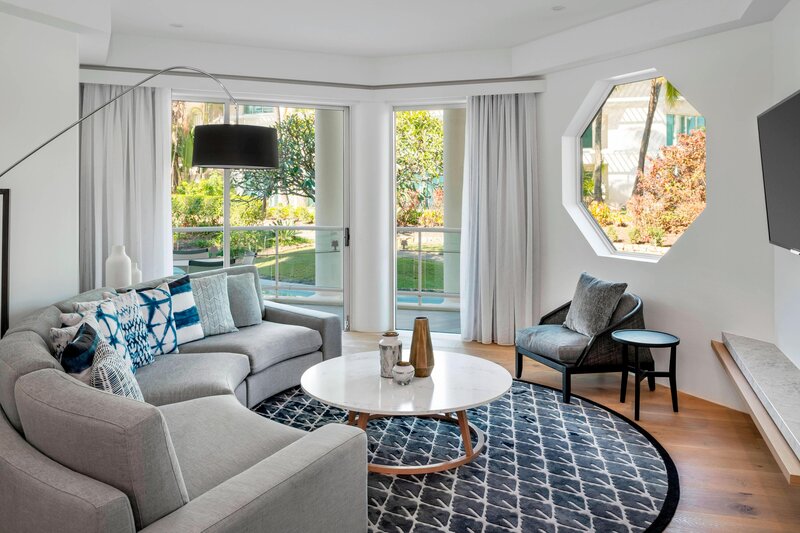 Already boasting the most sought after address in Main Beach, Sheraton Grand Mirage Resort Gold Coast is delighted to introduce the newly-transformed 2 and 3 Bedroom Sheraton Grand Mirage Villas. Families and guests planning extended stays will find our Multi-Bedroom Villas incredibly comfortable and convenient. 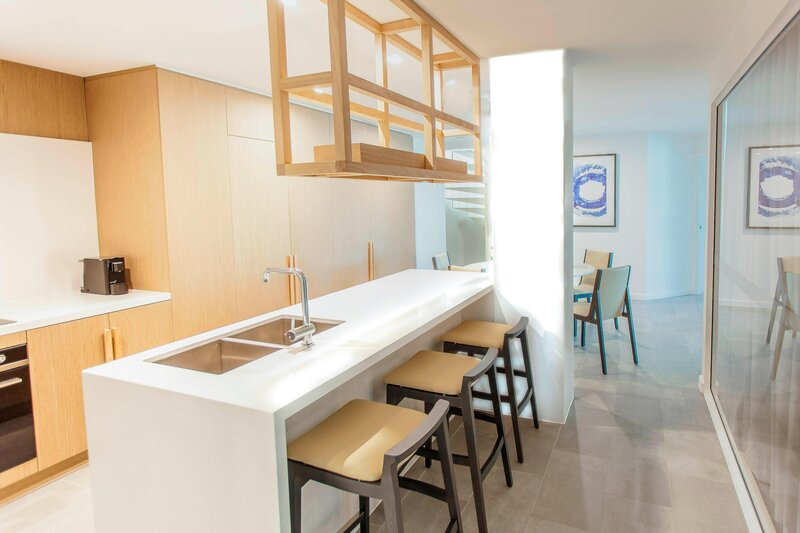 Modern décor, vivid tropical resort views, and a private, furnished balcony set the stage for a relaxing time away. Sheraton Grand Mirage Resort presents the best of dining in the Gold Coast. 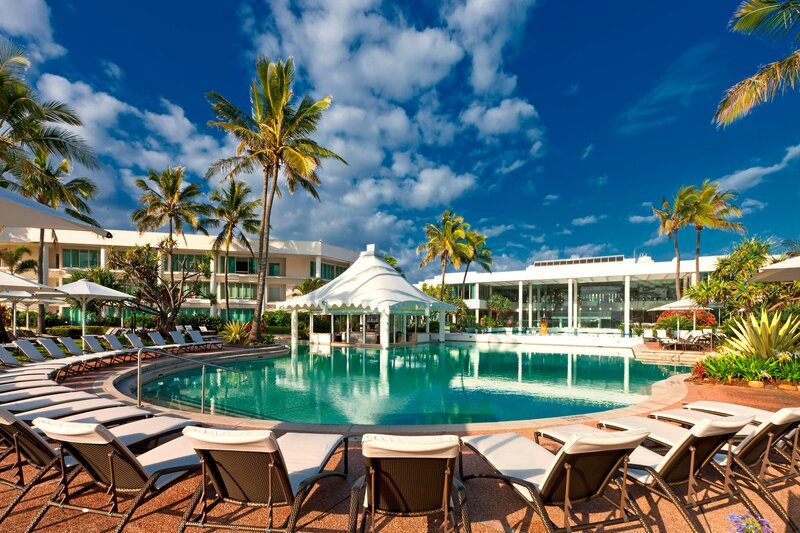 The resort hosts an array of restaurants and bars, each offering their own unique twist on popular Australian dishes and serving fresh local cuisine to deliver an authentic dining experience. Terraces Restaurant hosts the Gold Coast’s most iconic seafood buffet every lunch and dinner, famous in the area for their fresh seafood and extraordinary selection. Enjoy an intimate dining experience in Pearls Bar with mouth-watering cuisine and breathtaking views. Indulge in fresh seafood and delightful cocktails at Oyster Bar with views overlooking the Pacific Ocean. Serving delicious snacks poolside, Oasis Pool Bar offers a superb location for cocktails at the swim-up bar. The Gold Coast Hinterland is made up of the spectacular McPherson Range. There are various National Parks within the range, each with their own walking trails and a variety of activities. Also hidden in the mountains are some of the region’s best kept secrets, including boutique wineries offering delicious wines and exquisite food, local arts and crafts, country cafés, and of course the spectacular panoramic views of the Gold Coast. Experience the magic of Sheraton Grand Mirage as soon as you enter the lobby. Setting the tone for the resort, the lobby features modern designs,luxurious furnishings, and compelling pieces of art.